Arthur A. Levine Books, 9780439425193, 248pp. At the tender age of eleven, Millicent Min has completed her junior year of high school. Summer school is Millie's idea of fun, so she is excited that her parents are allowing her to take a college poetry course. But Millie soon concludes that college is "just like high school, only bigger." Even in a college classroom, she is far more earnest and dedicated than any of the other students, and she is still regarded as an oddball. Meanwhile her mother signs her up for volleyball "to give her a more normal and well-rounded childhood." 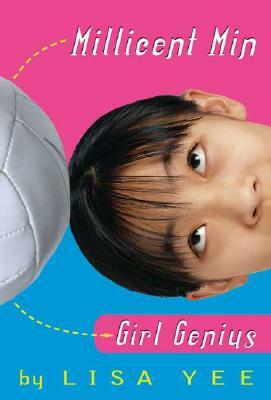 Although Millie is a klutz on the volleyball court, there she meets Emily, who shares her dislike of sports. Fearing to lose this first real friend, Millie lies to Emily about her academic genius. Eventually Millie's deceptions catch up with her, and she is forced to apply herself to something other than homework: learning how to become a true friend. The tension between Millie's formal, overly intellectual way of expressing herself and her emotional immaturity makes her a very funny narrator. Millie's obsession with book learning goes far beyond the stereotypical studiousness of Asian Americans. Her laid-back father, artistic mother, and wise, warm-hearted grandmother all encourage Millie to put down her books and broaden her interests. Fellow Chinese student Stanford Wong prefers basketball to schoolwork, and mutters to Millie, "Because of you, teachers expect every Chinese kid to be a genius." Readers considerably older than Millicent's eleven years will enjoy this strong debut novel.-Walter Hogan.